In 2018, the Hamptons International Film Festival celebrates the 10th Anniversary SummerDocs series! The second film in this summer’s anniversary series is BATHTUBS OVER BROADWAY on Saturday, July 21, at 7:00pm, at Guild Hall of East Hampton. The film will be followed by a conversation with director Dava Whisenant, hosted by HIFF Co-Chair Alec Baldwin and Artistic Director David Nugent. When he started as a comedy writer for the LATE SHOW WITH DAVID LETTERMAN, Steve Young had few interests outside of his day job. But while gathering material for a segment on the show, Steve stumbled onto a few vintage record albums that would change his life forever. Bizarre cast recordings—marked “internal use only”—revealed full-throated Broadway-style musical shows about some of the most recognizable corporations in America: General Electric, McDonald’s, Ford, DuPont, Xerox. Steve didn’t know much about musical theater, but these recordings delighted him in a way that nothing ever had. BATHTUBS OVER BROADWAY follows Steve Young on his quest to find all he can about this hidden world. 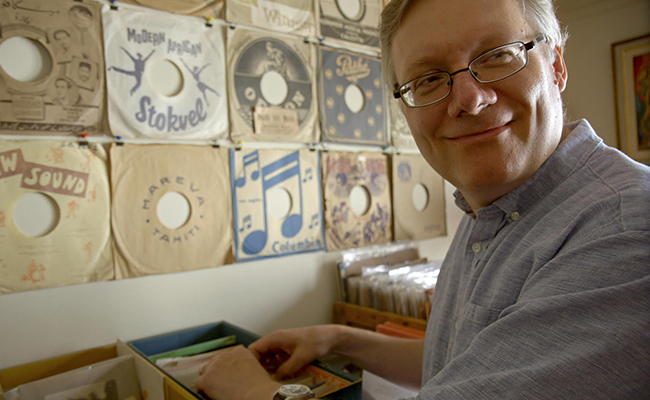 While tracking down rare albums, unseen footage, composers and performers, Steve forms unlikely friendships and discovers how this discarded musical genre starring tractors and bathtubs was bigger than Broadway. With David Letterman, Chita Rivera, Martin Short, Florence Henderson, Susan Stroman, Jello Biafra and more. “We are excited to celebrate the 10th anniversary of our SummerDocs series with three dynamic films covering a variety of topics, including a legendary actor, forgotten Broadway musicals and a culinary prodigy. Over the last decade we have captivated audiences with some of the most incredible storytelling and know that our 10th anniversary continues that tradition,” said HIFF Co-Chairman and SummerDocs series presenter Alec Baldwin. Past SummerDocs selections, including ICARUS (2017), TWENTY FEET FROM STARDOM (2013), LAST DAYS OF VIETNAM (2014), THE COVE (2009), SEARCHING FOR SUGAR MAN (2012) and HOW TO SURVIVE A PLAGUE (2012), have gone on to receive Academy Award® wins and nominations. Join us to discover new classic documentaries this summer! This year’s series is presented by Out East, a new real estate destination by StreetEasy. Candescent Films returns to sponsor the Audience Award for the 2018 SummerDocs series. Candescent Films supports documentaries that illuminate social issues. Join the conversation @CandescentFilms.